The Control 14C/T is designed for use with 70V systems. 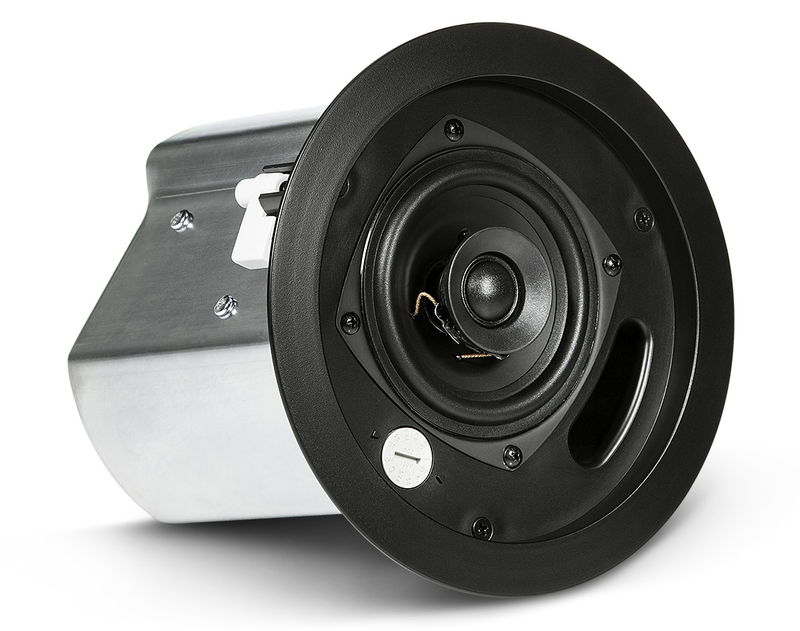 It is a coaxial speaker with a 4" low frequency driver and a 0.75" soft-dome liquid-cooled tweeter. The speaker is completely housed and sealed in a metal can. It features a removable phenix terminal block for the speaker input and output. 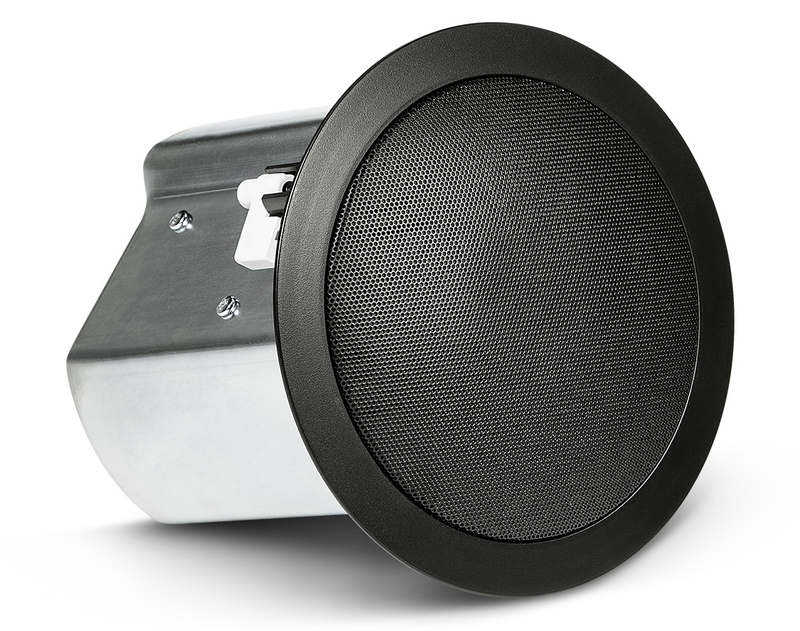 The grille is removable with a dial underneath for selecting the wattage tap for the speaker. It has taps at 3.2W, 6.3W, 12.5W, 25W, or an 8Ω Bypass as well. The Control 14C/T includes all of the mounting hardware for both suspended and drywall ceilings. 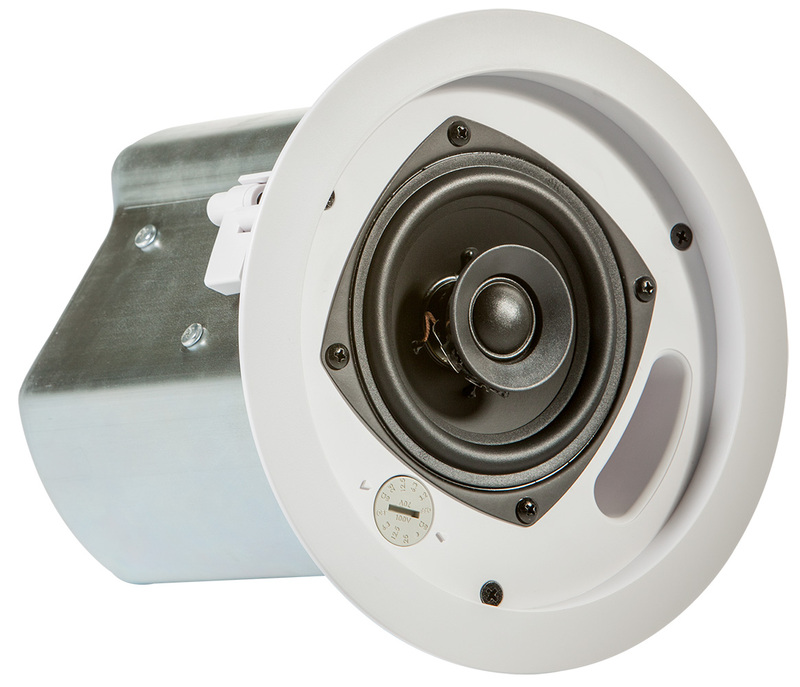 Also, you can rest easy knowing that these speakers are up to building code standards with it's UL2043 Plenum listing.